Turn and lock door handle. Press Next. The machine price should be displayed. Swipe credit or debit card. When the reader indicates “authorized”, your account has been charged. If the Washer won’t start there is a different issue, please do not reswipe. 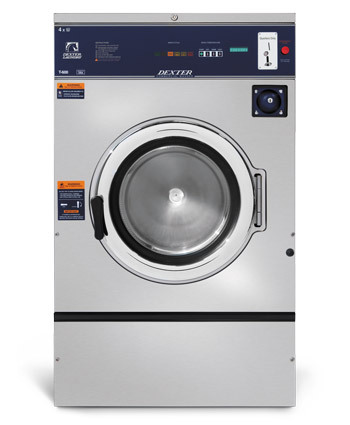 Washer readers are programed to not charge your account if you swipe the machine multiple times within 23 minutes (the cycle time of a washer). There is no surcharge to use the Washcard System. At this time Laundromania is absorbing the WashCard licensing and the credit card processing fees. You may see what appears to be a $20 “charge” if you view your credit card statement online. This is only an authorization. It is not a charge, but it does take away from your available credit for one or two days. Only your actual total or “bundled” charges will appear on your month-end statement. It can be sometimes be difficult to see the difference between an authorization and a charge when you check your CC activity online. Did you latch to door handle? Is it locked now? The card system seems to have worked, and charged your account . Possible issue with the door switch or other washer problem. Try wiggling the handle several times. If this does not resolve your problem, then please Fill out a refund slip. We will determine if your account was charged, and issue any necessary refund. Declined. This is an issue with your bank. This actually indicates the system is working fine. Sending Keypress to Server: It is possible that this is the only reader malfunctioning. If other machines give the same error it is possible there is a server error. Your card was not charged. If multiple machines are malfunctioning, then please call or text 319-330-7368.
Credit Card service is not available at this time. Internet error. Your card was not charged. Likely the entire system is down. Please call or text 319-330-7368. Blank screen: Likely a power issue isolated to this machine. Usually if the WashCard screen is blank the machine will also be without power. Your card was not charged. Please place an out of Service tag on the machine. WashCard Reader appears to function. Display reads “Authorized” but machine won’t start.